Do you have an upcoming business trip or vacation that will take you away from your home for a long period of time? At our CMH Airport parking company, we offer long-term parking services that can take care of your vehicle during your time away. Whether you’re gone two weeks or two months, you can be sure that your car or truck is in good hands at OhPark. We know you don’t always have time for car care, which is why we offer services that you can add to your CMH Airport parking reservation. If you’re going to be gone for a long period of time, why not treat your car to a car wash, detail, or even an oil change? You’ll save both time and money by letting us take care of your vehicle while you’re away. If you’re part of a company that does a lot of traveling, you may be required to go on long-term business trips to another state or another country. At OhPark, we offer corporate discounts for businesses that travel often. Simply enroll your company before you make your CMH Airport parking reservation and we’ll give you the lowest price possible for our valet parking. Leaving your car behind for several weeks or even months can be worrisome. That’s why at OhPark, we make sure your car stays safe while you’re gone. We feature a sturdy fencing system, video surveillance, bright lighting, and more so you can rest easy knowing your car is in good hands. 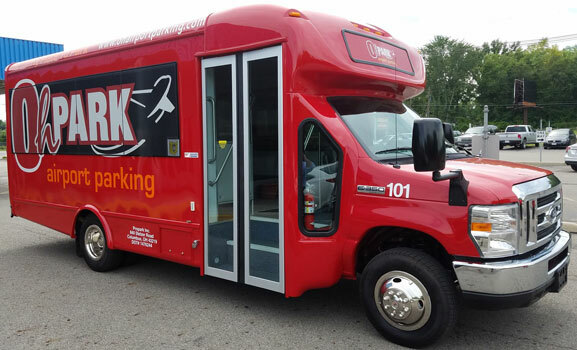 If you’re going on a long trip, take advantage of the long-term parking services at OhPark. Make your reservation today.